A kite is a sail that you can fly through the air or just park it in the air. 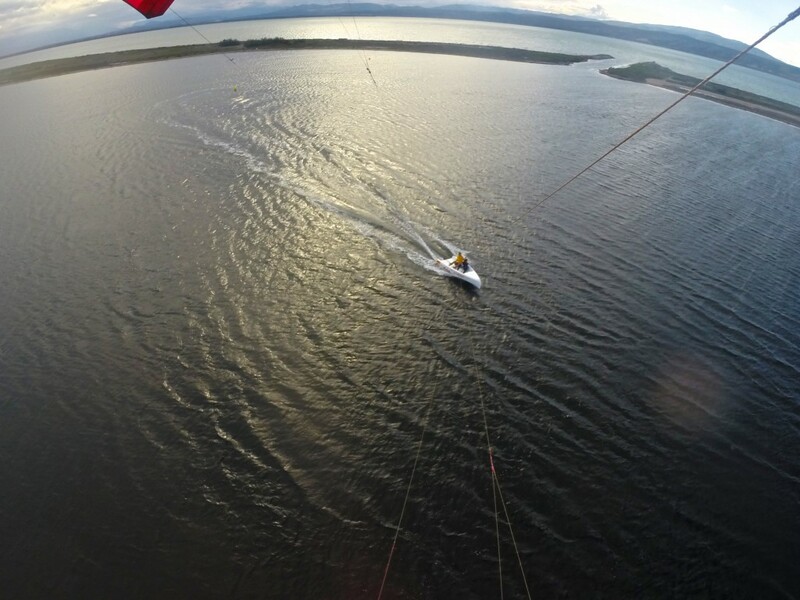 As you fly a kite (faster then boatspeed), it is speeding up and will have lots of apparant wind! Creating more power when you want to, how awsome is that! As sailors know it is all about apparant wind. Using a flying sail or kite is the utmost example of using apparant wind! Masted sail boats have a central point of forces in their sails, some meters above the water. Therefore creating a higher/bigger heeling momentum. (and we should not forget the pitching momenum forward) A kite is generating order forces. A kite hase low heeling momentum as it is attached low on deck. So you can have more m2 sail when kiteboating, compared to masted sailing. Guess what is faster then. As being a sailor originally, some 5 or 6 years ago I took a kite lesson, just because I wanted to know how it worked and felt. After an hour I felt the huge extra power of a flying sail. 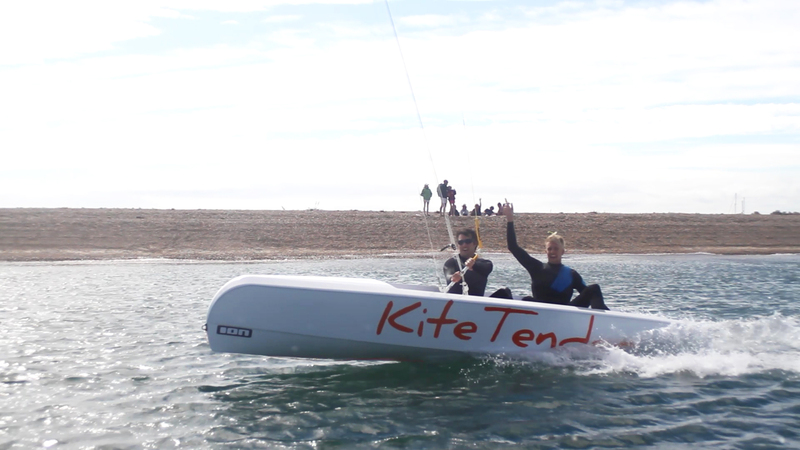 So there is the point where I started kite sailing, an amazing new sailing sport. 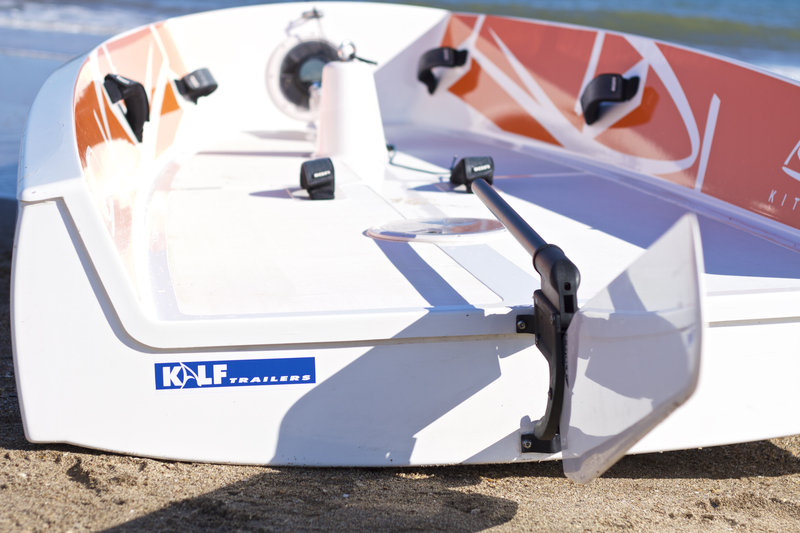 After several try outs on existing dinghies with more experienced kiters, it became clear that kiteboating is totally different and needed her own hull. 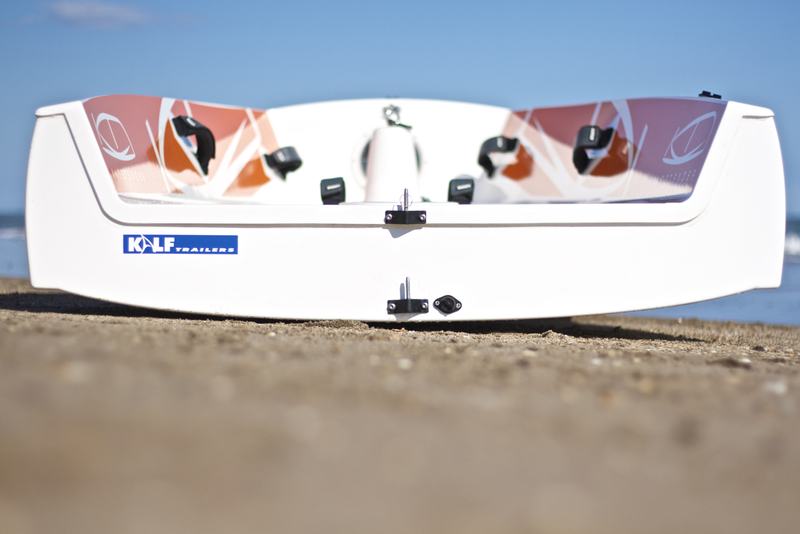 After a couple of protoypes and hours on the water, years later; the plugs and moulds have been developed and constructed in 2015. You can survive more easy when 30 knots of wind is coming over, compared to a masted boat. 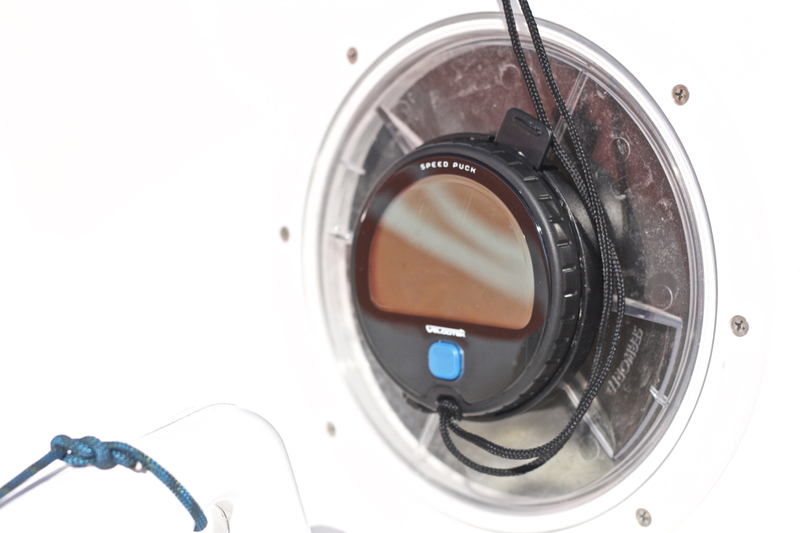 You can manouvre better with the Kitetender then any other masted sailboats. You need some wind in order the kite stays in the air. What skills are needed to Kitetender? A bit of dinghy sailing would be an advantage. 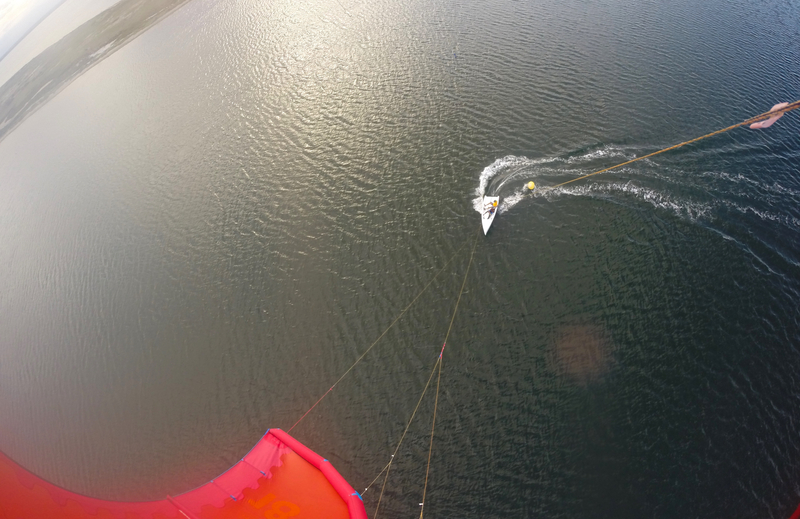 Sailing with a kite is like sailing a big gennaker, you have too much presure, go downwind, If you need pressure, go upwind. Kitecontrol is a neccessary skill. 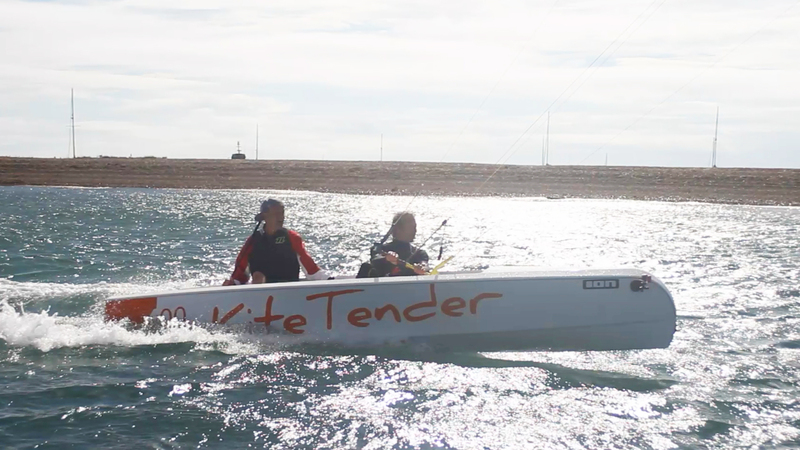 If you can fly a 4 or 5 depower kite on land and you are confident with it, you can have a go. Allways make sure you start in easy waters and with a small kite in moderate winds and circumstances to get to know kitesailing. 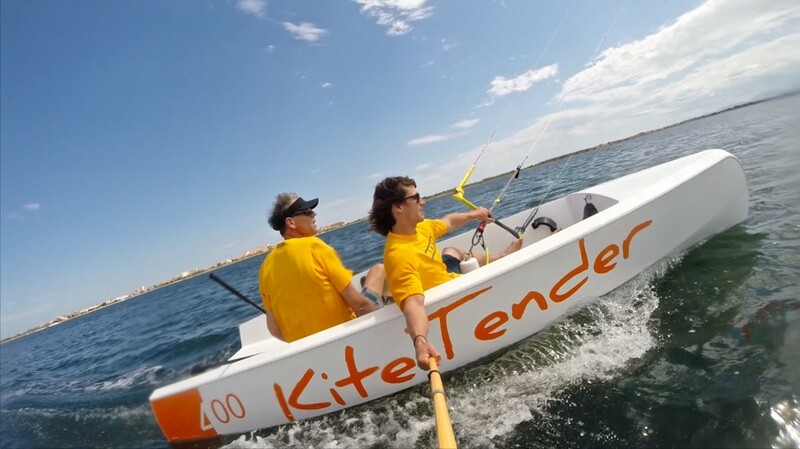 Go out preferrable with the people who have Kitetender experience and teaching abilities, like the Kitetender Centers mentioned ! Below you will find some video’s among which some explain how to, without aiming to have a complete training course. 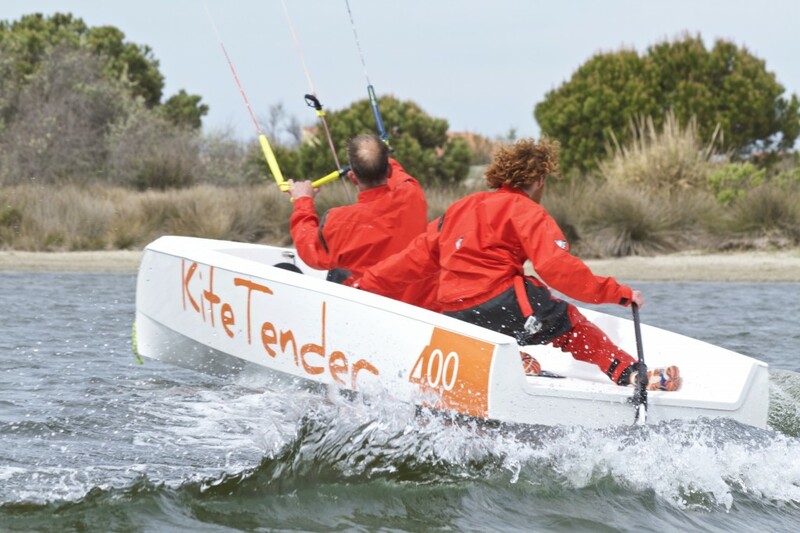 Kitetender 400, The ultimate kite dinghy, 100% awsome fun! inspection holes,( in this case with a velocity speedpuck on it and a safety line not to loose it, not standard delivery, option). Crew competence is the most important safety issue onboard! 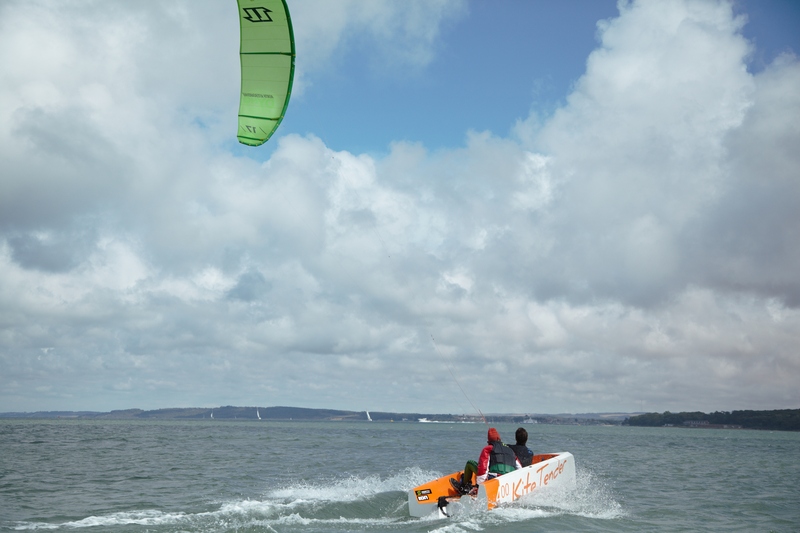 kite knowhow & control is essential, if you do not have it don’t go out! 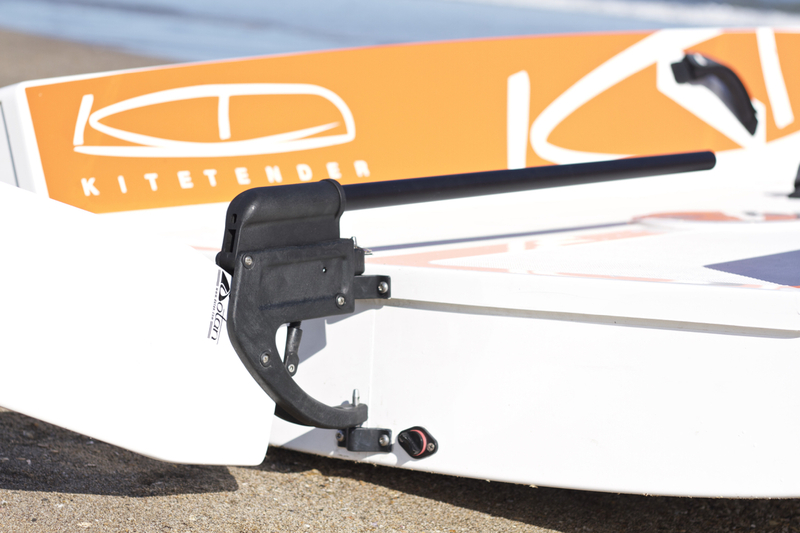 Allways wear the standard safety releash fro JOBE, which is delivered with your kitetender. 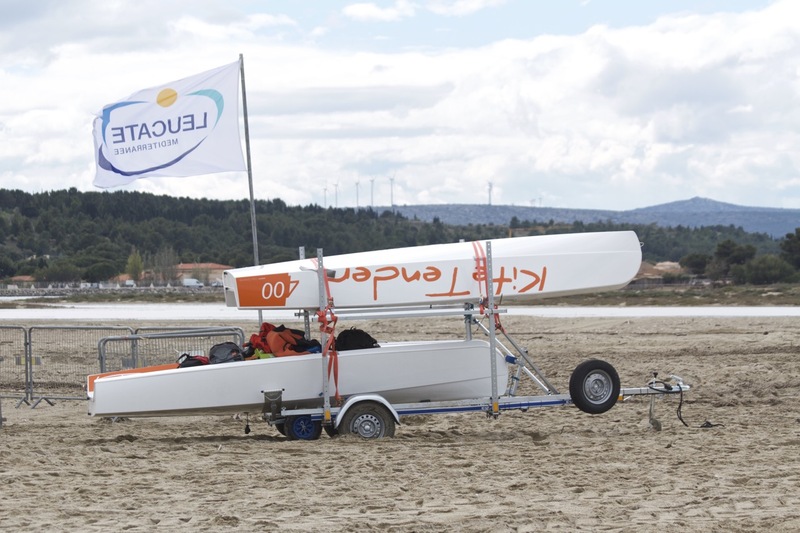 Start slowly with a smaller kite and get used to kitesailing first. After some good sessions and confidence as a team you can build up performances and choose for more wind and or bigger kites. 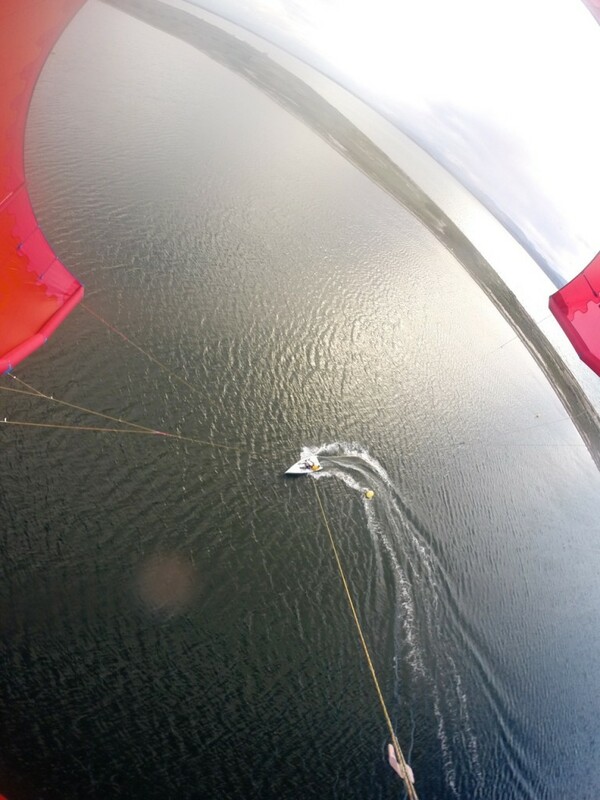 For sailors!, beware of huge accelerations when the kitepilot is powering/flying the kite. Allways be seated and hold tight. 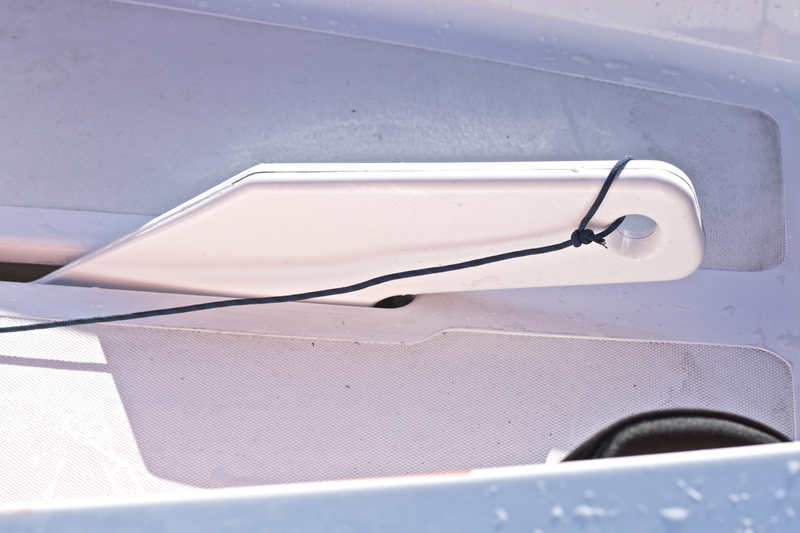 By powering the kite forces can be up to 8 times a normal static sail! 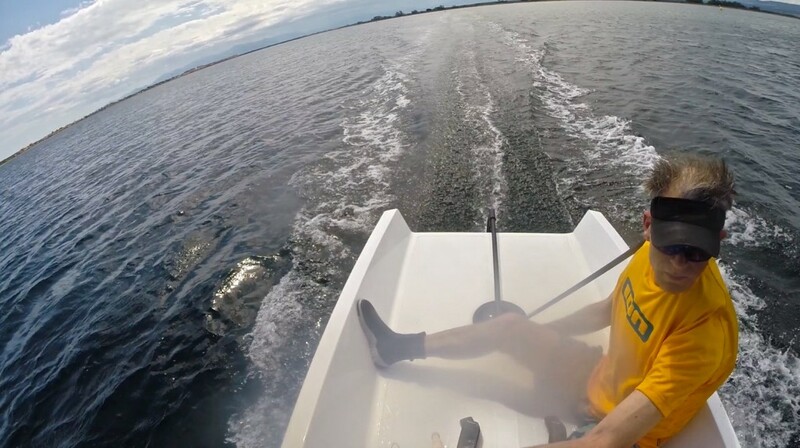 Allways wear sufficient sailingclothes, wetsuits and rescue vests and a knife! If you do not have the know how as mentioned above, do take lessons first! Do not try it out first!